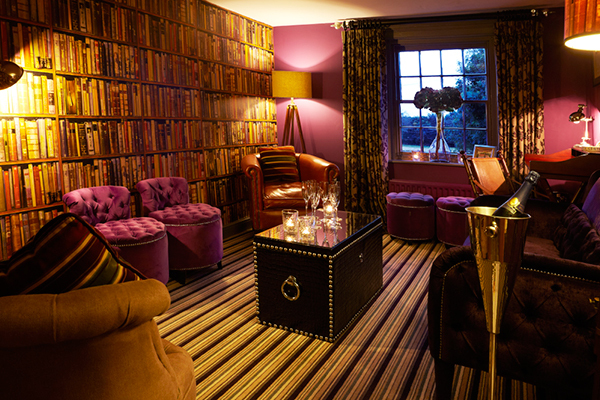 The private first floor dining suite comprises the The Hotham Room and Chefs’ Library. 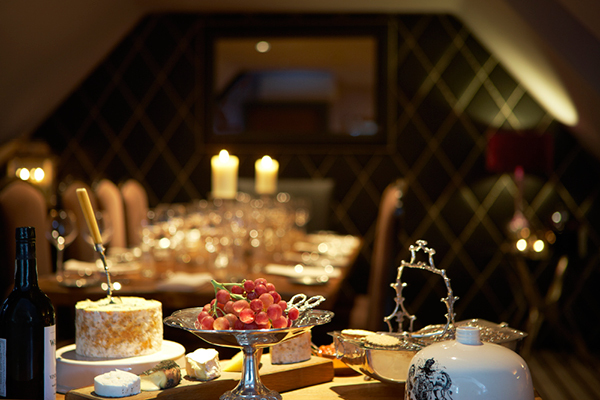 This exclusive suite can accommodate between six and ten people, with bespoke tasting menus by James. 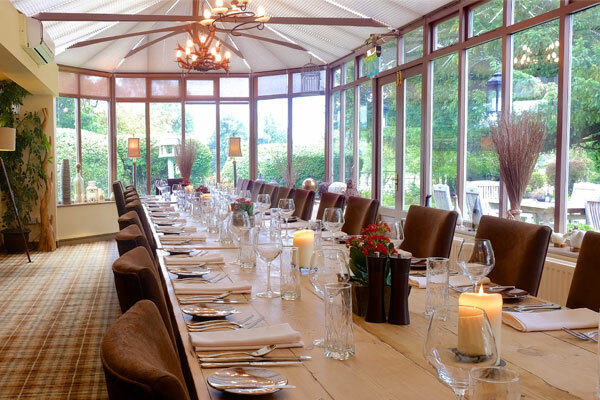 For larger parties the airy conservatory offers Pipe and Glass Inn hospitality with views across the gardens to the stunning Dalton Park. It features large reclaimed wooden tables, and for parties of 20 or more, exclusive use with James' seasonal menus individually tailored to your requirements. From a ‘power breakfast’ to a Michelin-starred dinner to impress important clients, the private first floor dining suite at the Pipe and Glass is perfect. Comprising The Hotham Room and Chefs’ Library, this exclusive suite can accommodate between six and ten people, with tasting menus by James. What could be more civilised than a traditional afternoon tea? You can enjoy this retro treat in the intimate surroundings of the private dining room, The Hotham Room, upstairs at the Pipe and Glass. Perfect for a celebration, a get-together with old friends, or even an unusual slant on a business meeting. 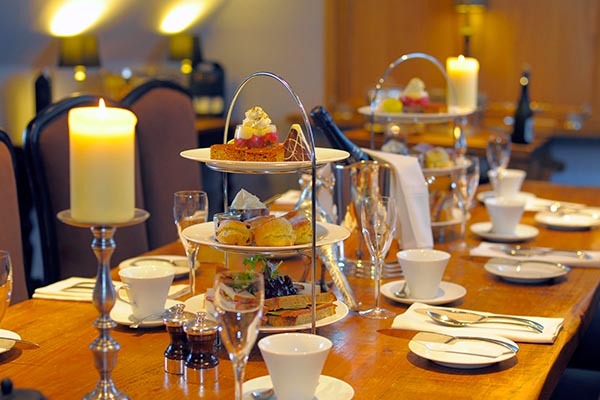 Afternoon tea is available for a minimum of six, and a maximum of ten people. And if you want to make it extra special, you can choose to add a bottle of champagne from the Pipe and Glass’s extensive wine list. Afternoon tea at the Pipe and Glass is served Tuesdays to Saturdays. 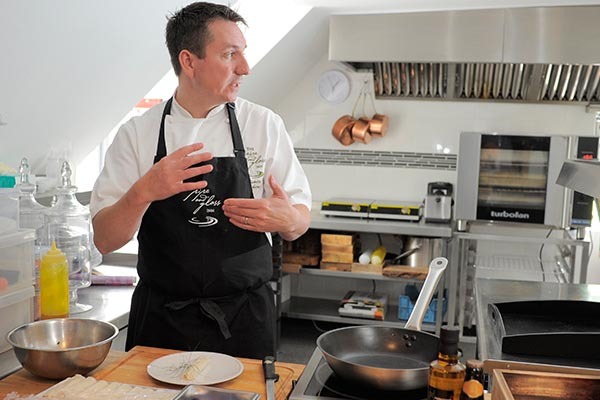 Looking for a day out with a difference, or a special gift for a dedicated food-lover? Why not spend the day at your favourite restaurant, seeing a cookery demo by a Michelin-starred chef – and then eat the results! In the intimate surroundings of the Pipe and Glass’s first floor private dining suite, the Hotham Room, which has its own demo kitchen, James will prepare a two-course meal to a menu decided with you in advance. 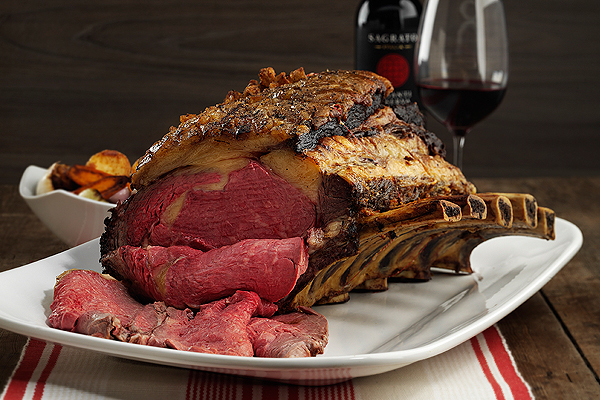 Roast sirloin of beef carved at the table, golden, crispy Yorkshire puds – a private Sunday lunch at the Pipe and Glass is a real experience. Enjoy canapés with your pre-dinner drinks in the cookbook-lined Chefs’ library followed by a set menu for between six and ten people in The Hotham Room.